Fortnite: Battle Royale is all about the skins. If you want to stand out on the battlefield, you'll need to sink your time and money into picking up one of the rarest skins available in the game. Unlike games like Overwatch and Team Fortress 2, which let players buy or obtain non-Holiday skins throughout the year, Fortnite outfits are often limited time offers. That means if you miss Cuddle Team Leader or Raven on the Item Shop, you're out of luck for the moment. And if you fail to reach Tier 100 while using your Battle Pass, you've permanently missed your chance to obtain elite skins like Omega or The Reaper. Because of this, Fortnite's rarest skins have plenty of prestige around them. They show off time, dedication, and patience. And if you're interested in showing off Fortnite: Battle Royale's rarest skins during your ride on the Battle Bus, here's our top picks. 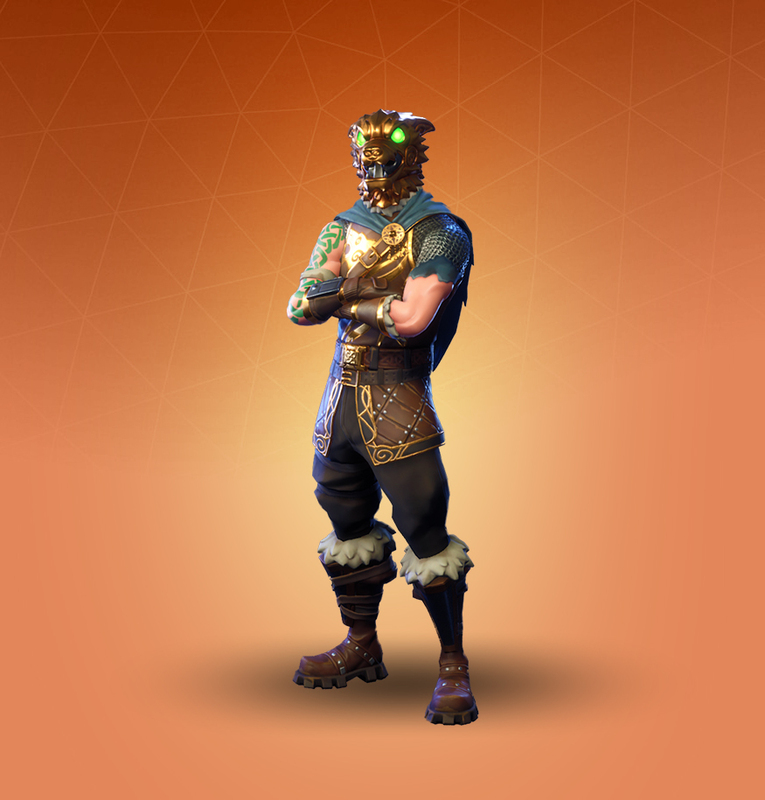 The Battle Hound was available as a St. Patrick's Day Holiday outfit skin as part of the Laoch set. Available on the Item Shop for 2,000 V-Bucks from March 18 to 20 2018, the Battle Hound has only returned once on July 1, according to Fortnite Skins. Sure, the Battle Hound skin may not be limited to Season Pass owners, but this cosmetic is a rare sight. So if you see it on the Item Shop, consider making a purchase. 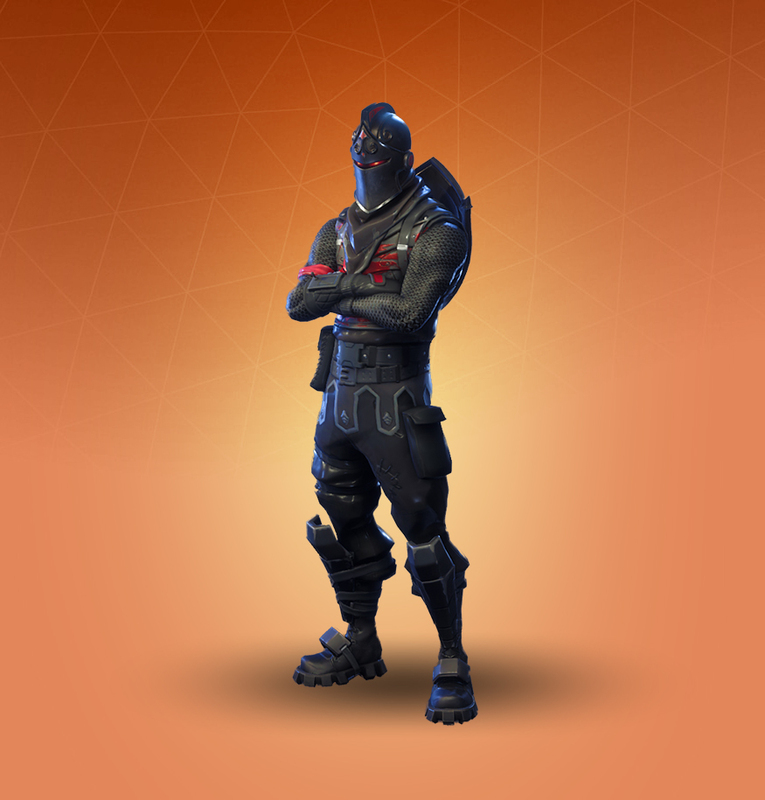 Make no mistake, the Black Knight skin is as rare as it is gorgeous. Available as a Tier 70 reward for Battle Pass Season 2 owners, the Black Knight was the last reward players could earn for Fortnite's first Season Pass. In other words, this skin isn't just rare, it's an elite symbol carried by veteran Fortnite: Battle Royale players who have enjoyed the game since February 2018. Like the Battle Hound, the Cuddle Team Leader skin was available for a limited time only as a Holiday skin during Valentine's Day. This skin was available for 2,000 V-Bucks on the Item Shop when it was first revealed, and being a Legendary skin, it isn't exactly easy to find. The last time Cuddle Team Leader appeared on the Item Shop was on June 19; before then, players could pick it up from Feb. 10 to Feb. 17, as well as a few select days in March, one in April, and one in May, according to Fortnite Skins. Don't expect to buy this skin any time soon, although it's not a bad choice if you have a duo partner that can wear this outfit's equally rare counterpart, the Love Ranger. The Dark Voyager skin was available as a Tier 70 reward for Season 3 Battle Pass owners. It's easily the sleekest skin from the Space Explorers set. 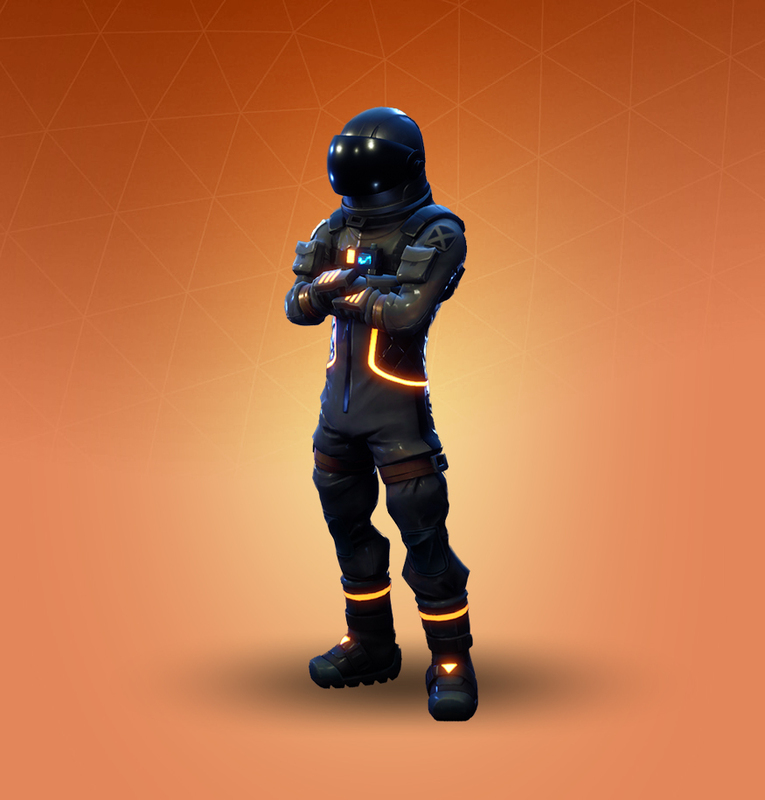 Because the Dark Voyager outfit was one of the higher tier rewards available during Season 3, it's actually relatively rare to see it wandering around in-game. And as far as Legendary skins go, let's just say the Dark Voyager's dark colors and neon stripe is impressive to every Fortnite player. The Ghoul Trooper skin was originally available in the Item Shop for 1,500 V-Bucks during October and November 2017 as a Halloween Outfit. 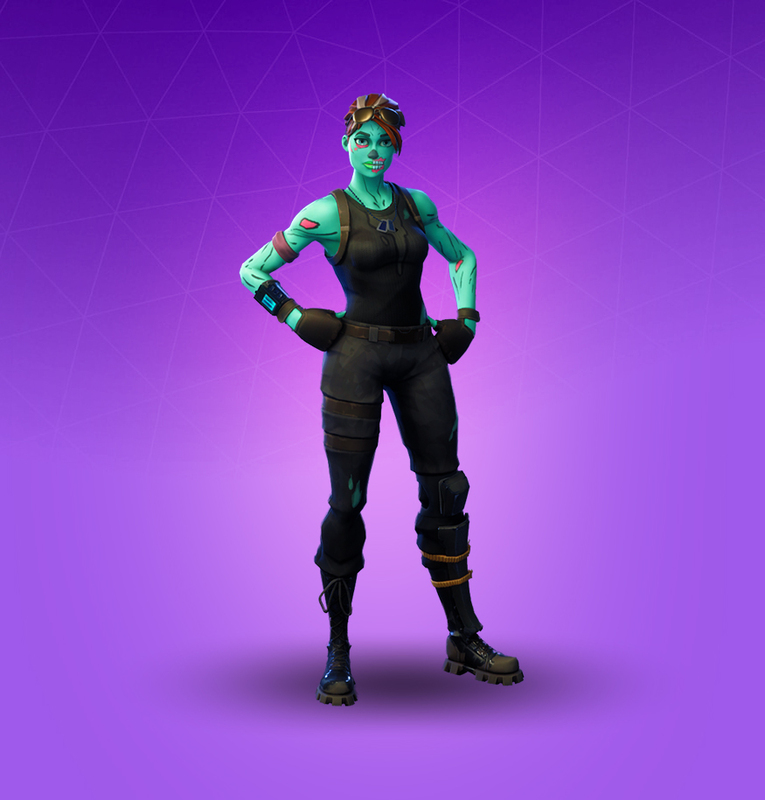 Like many Holiday skin counterparts, the Ghoul Trooper is hard to find in the Item Shop outside of the holiday season, making it equally rare and coveted by players. It remains unclear for now if Ghoul Trooper and the counterpart, Skull Trooper, will reappear for this year's Halloween event. But like Tim Curry said, "Anything can happen on Halloween." 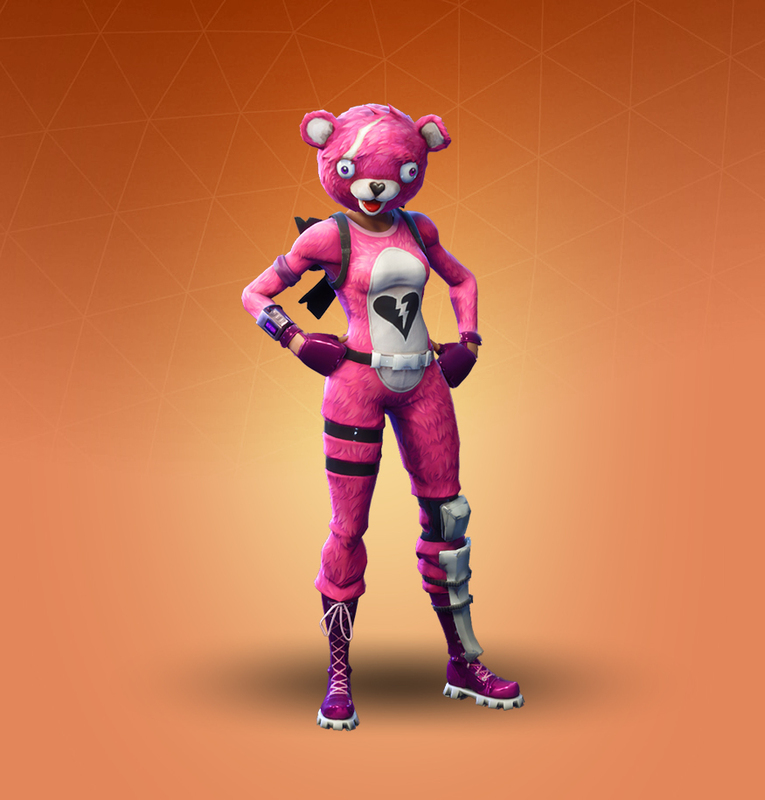 The Love Ranger skin is the Cuddle Team Leader outfit's counterpart. Available originally for Valentine's Day, the Love Ranger has seen just over a dozen appearances over the past year, with nearly half during February. 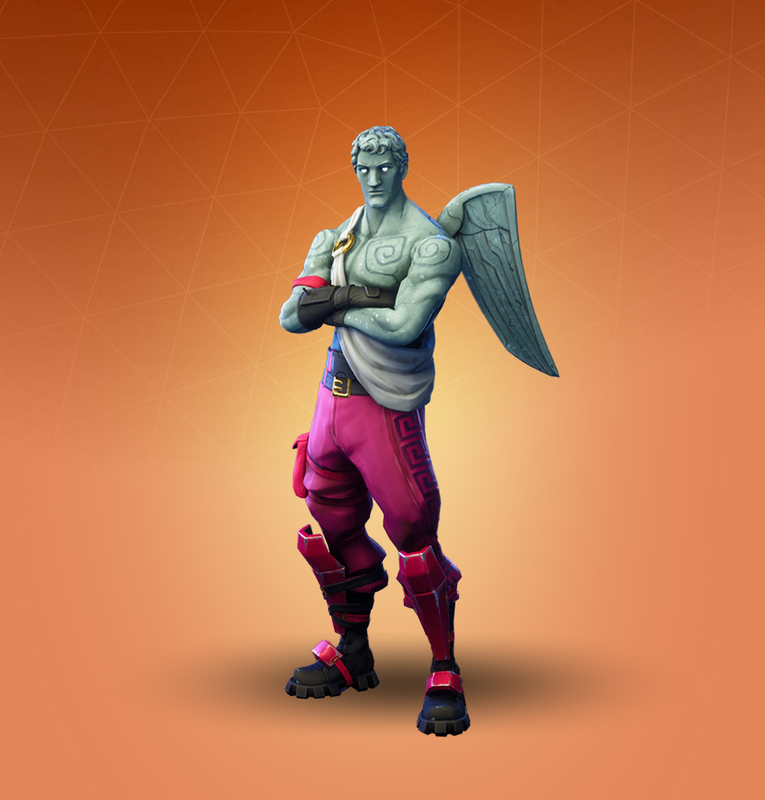 The Love Ranger has since appeared on the Item Shop for a few days in March and April, but only emerged once in May and once in June since then, Fortnite Skins reveals. If you want to grab this particularly rare skin, be prepared to spend 2,000 V-Bucks. Omega is one of the rarest skins in Fortnite: Battle Royale for an obvious reason: It's the Tier 100 reward for Battle Pass Season 4 owners. This means only dedicated Fortnite players willing to sink hours upon hours into the game can grab him to show off on the battlefield. 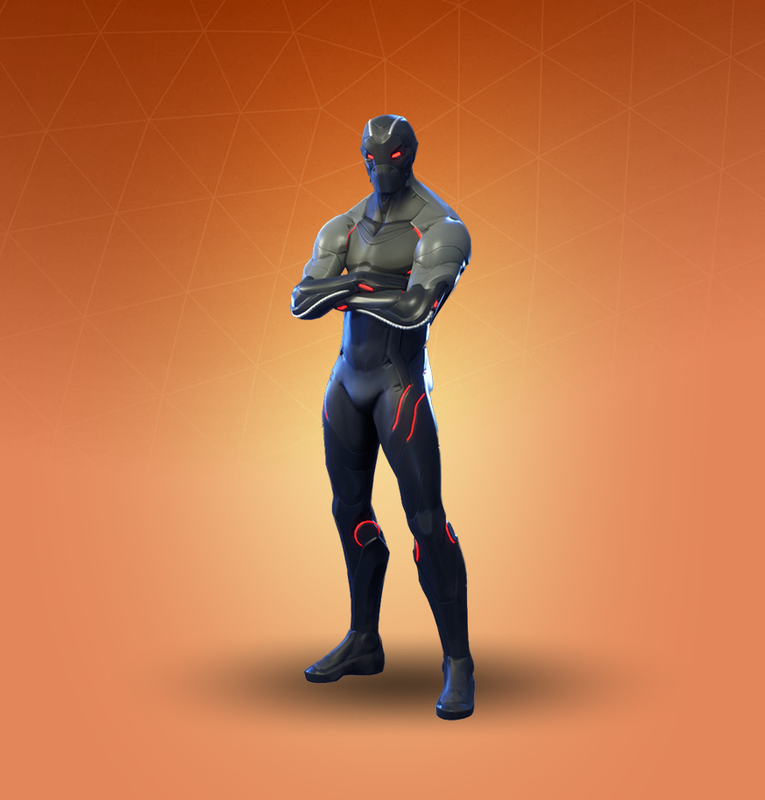 Like The Visitor, players can edit the colors used on its armor in-game too, making Omega customizable compared to other rare Fortnite skins. Raven is not just one of the most highly praised skins in Fortnite: Battle Royale, it's also one of the rarest, too. 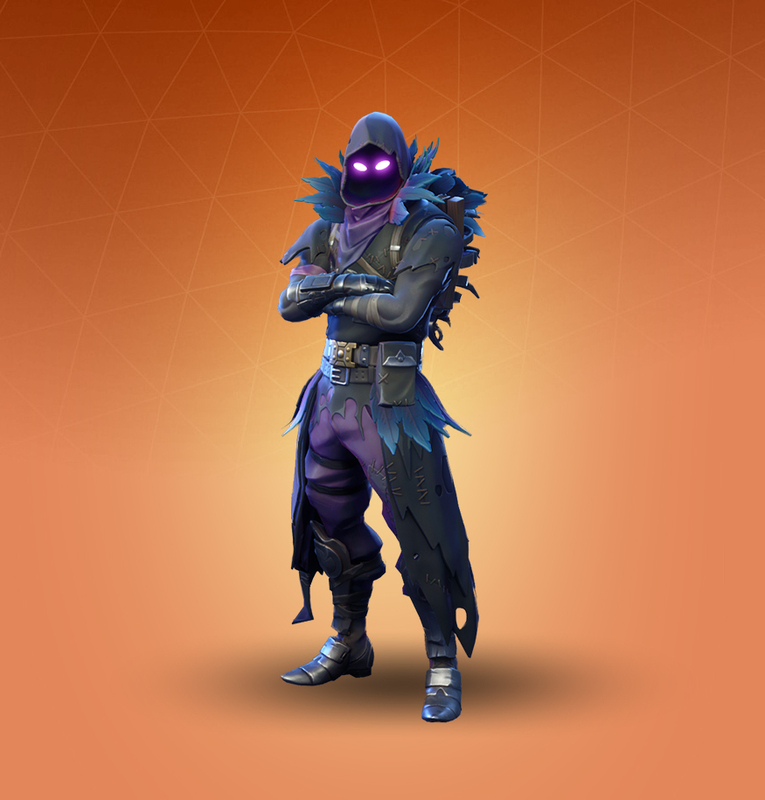 The Raven skin is available at the Item Shop for 2,000 V-Bucks, but has only been seen on the shop five times: twice in April, and three times in May, Fortnite Skins reports. It's been a few months since Raven's made an appearance, leaving many to speculate if it'll return nevermore. 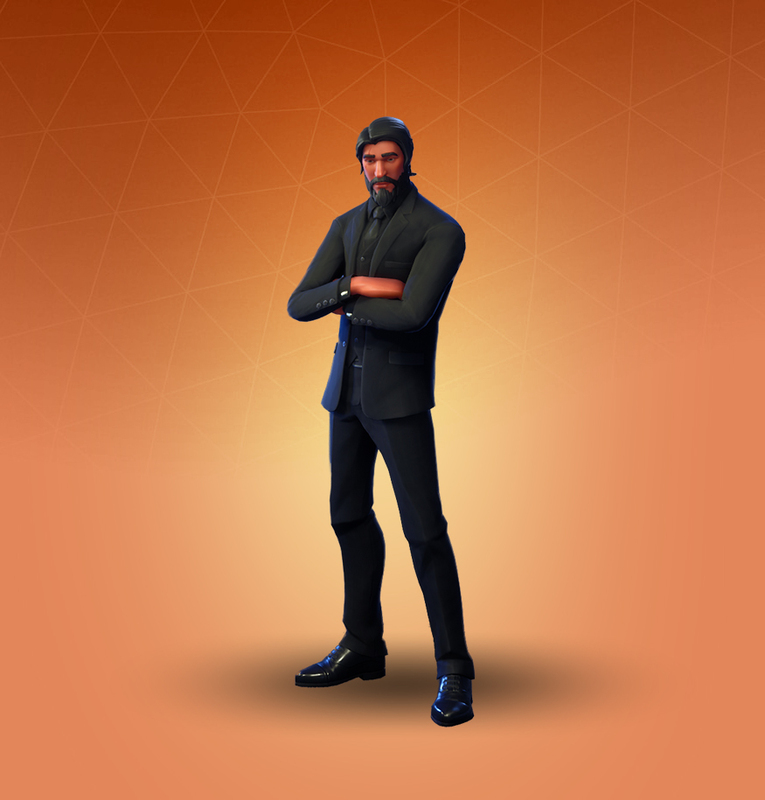 Better known as John Wick, The Reaper was available as a Tier 100 reward for Battle Pass Season 3 owners. Sleek, professional, and inspired by Keanu Reeves' hyperviolent character John Wick, The Reaper is a skin both to be feared and admired, and because it was the last reward available for Season 3, only the most dedicated and veteran players sport this outfit on the battlefield. The Skull Trooper skin was available in October and November 2017 from the Item Shop for 1,200 V-Bucks as a Holiday outfit, and to this day it remains a pretty rare skin in the game. Fans have long demanded its reappearance on the Item Shop for Halloween 2018, and for good reason—Skull Trooper's skeletal look is something to be feared year-round. But until Halloween rolls around again, Skull Trooper easily remains one of the rarest outfits in Fortnite. Wukong was originally available as a Lunar New Year Holiday skin in February and March 2018 on the Item Shop. 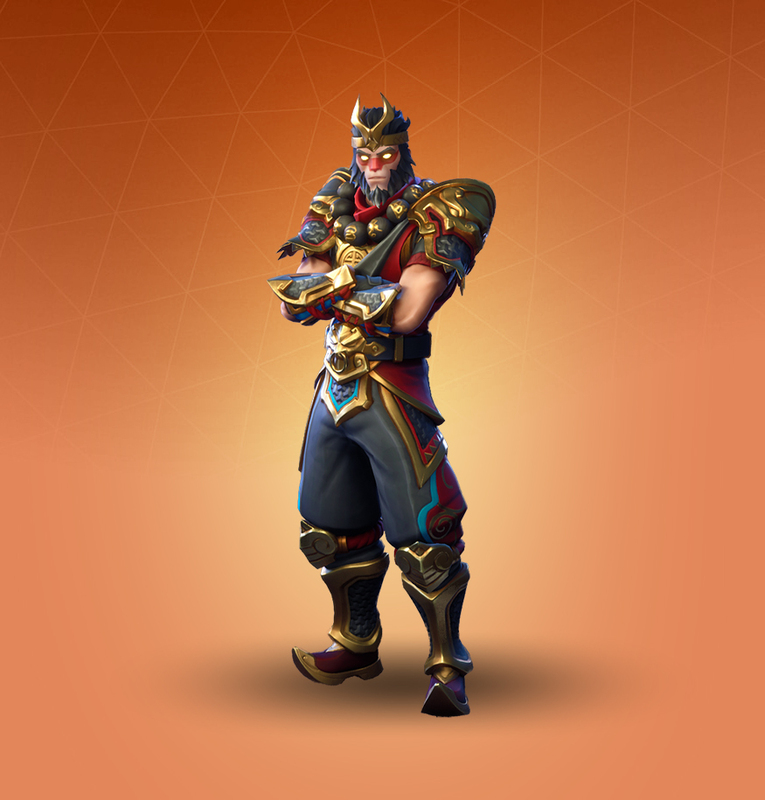 Costing 2,000 V-Bucks, this Legendary skin isn't just impressively detailed, it's quite intimidating too, in part because it's based on Sun Wukong from Chinese mythology. Wukong hasn't been seen much since March 2018, however: It appeared for sale once in April, once in May, and one more time in June, according to Fortnite Skins. So if you want to grab the Monkey King for yourself, be prepared for a wait.